Minnesota lyricist T.O.N.Y. 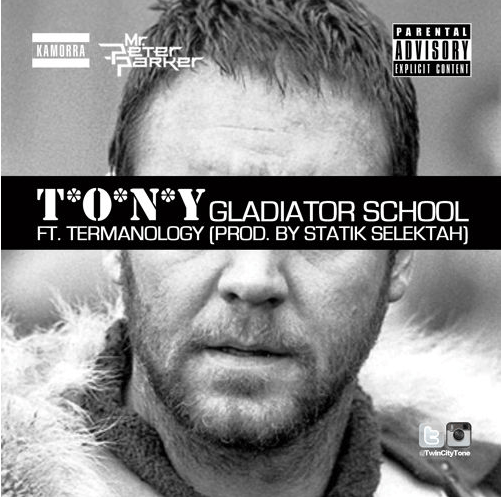 recruits respected emcee Termanology for his latest single “Gladiator School.” T.O.N.Y. and Termanology go bar for bar over some very soulful Statik Selektah production.